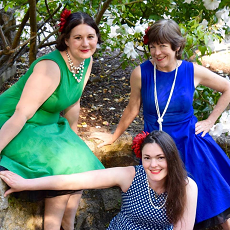 Three dynamic female vocalists (Margaret, Amelia, and Mary) have teamed up to create a trio with saucy, spicy and surprising harmonies. Yes M’am! takes the stage with a capella songs that are at times funny, soaring, moving, and deeply powerful.